Christmas is fast approaching and Shops and Supermarkets are emblazoned with Christmas everything, there is no escaping it. 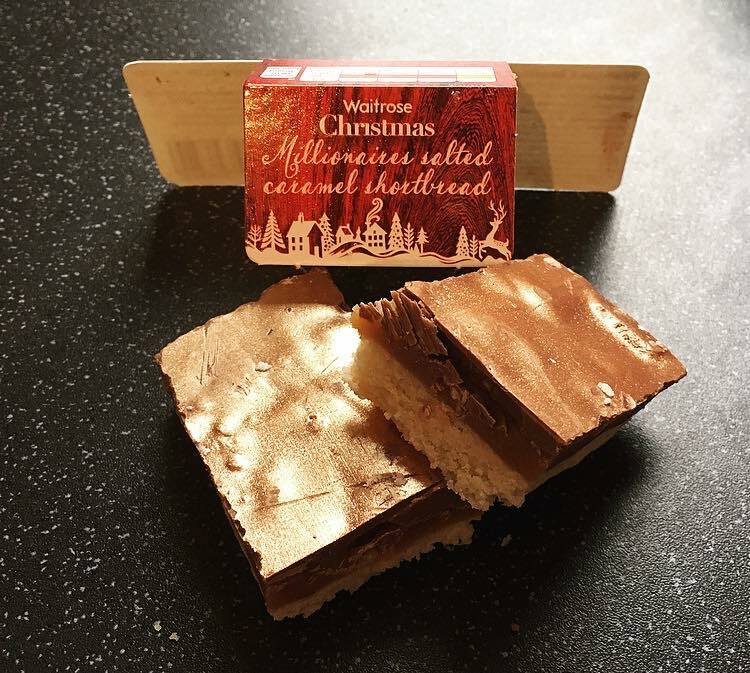 Whilst popping out to grab some lunch at our new Waitrose, yes I got their festive sarnie and boy was it a gooden, something caught my eye and it was this little number; Waitrose Christmas Millionaires Salted Caramel Shortbread. The salted caramel craze is still going strong however it wasn’t what won me over, in fact I hadn’t clocked it was even salted caramel until further inspection. What did win me over was the simple fact it was glittery and looked rather exciting and christmassy. This Christmas shortbread was one chunky number. Cutting in the thick layers of shortbread, caramel and chocolate, along with the pean pieces embedded in the caramel were clearly evident. The shortbread was, as it suggested, buttery and crumbly, the caramel chewy and rich and the chocolate smooth and light. The pecan praline is an absolute winner. Pecans are so underused in my eyes and here it gave that well needed texture and contrast to the thick caramel. 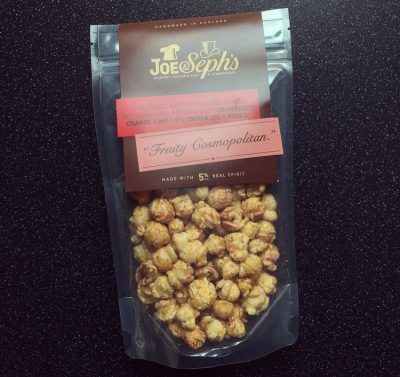 Now then the key factor, was the salted caramel salted? At first I thought oh no here we go again, another product that’s all caramel and no salt… however fear not there is salt in this caramel. 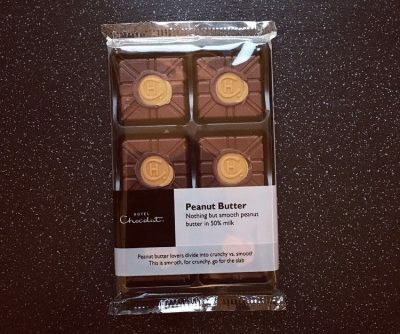 *huzzah* It’s a salted caramel that isn’t bang on instant but comes through as you continue to munch, which is perfect to give the ridiculously sweet caramel that much needed balance. 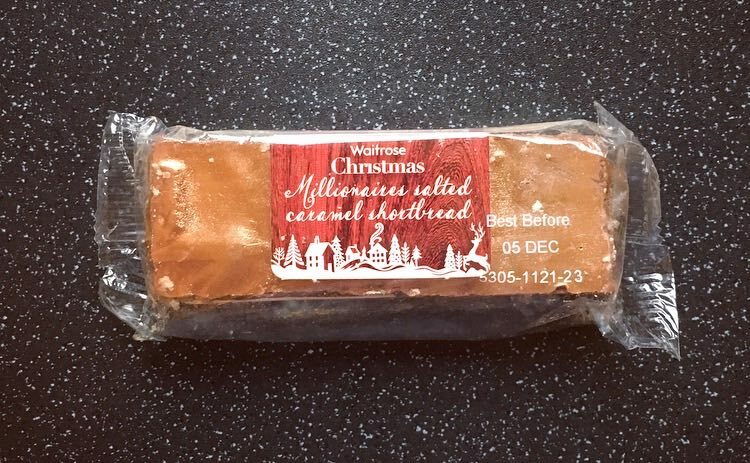 Waitrose standard millionaire bites aren’t all that but I have to say I am pleasantly surprised by the quality of this Christmas version, and if nothing else it is one yummy bar. If you happen to be in Waitrose definitely pick up and try one of these glittery numbers.